I love grilled fish, soy sauce and brown sugar so this recipe was a recipe that I could get excited about. I discovered that baking is an option. Bake at 425° for approximately 15 minutes. But grilling is my favorite. Combine soy sauce, brown sugar, water and vegetable oil and stir until sugar has dissolved. Place fish in a large resealable bag and pour mixture over fish and seal, turn to coat and marinate for at least 2 hours. Lightly spray fish cage with Pam to reduce sticking. Place fish on grill and discard marinade. This recipe kicks it up a notch from your normal hum drum salmon recipe. Enjoy! 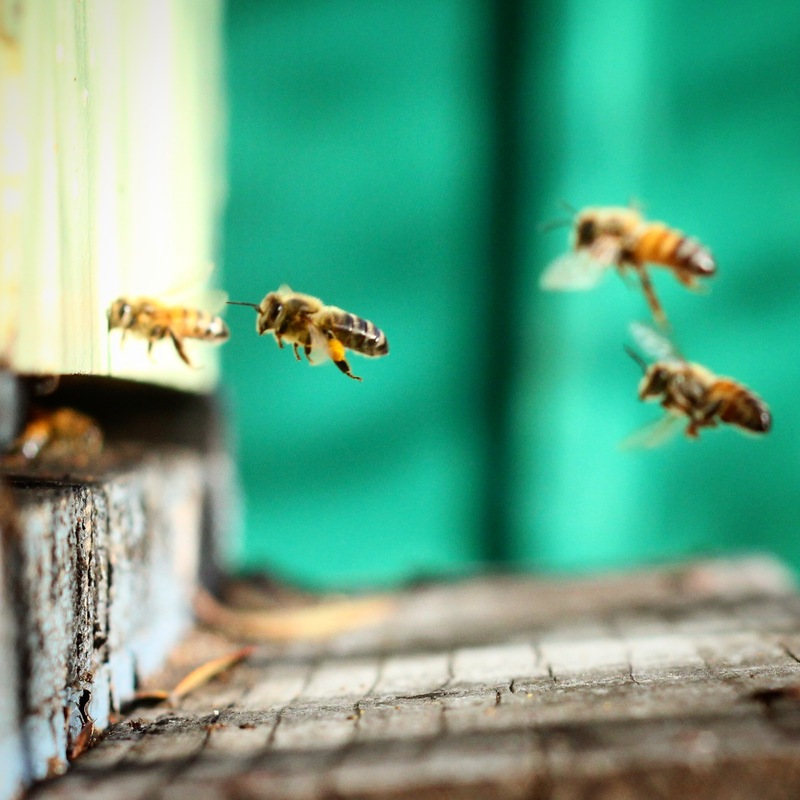 Many new beekeepers fall head-over-heels for bees. I often joke that my own story is the classic tale of ‘girl meets bee’. Not only is the world of bees fascinating, the sheer volume of information on the subject can be engrossing. A person could spend hours on forums, blogs, YouTube videos, magazines and scientific papers! 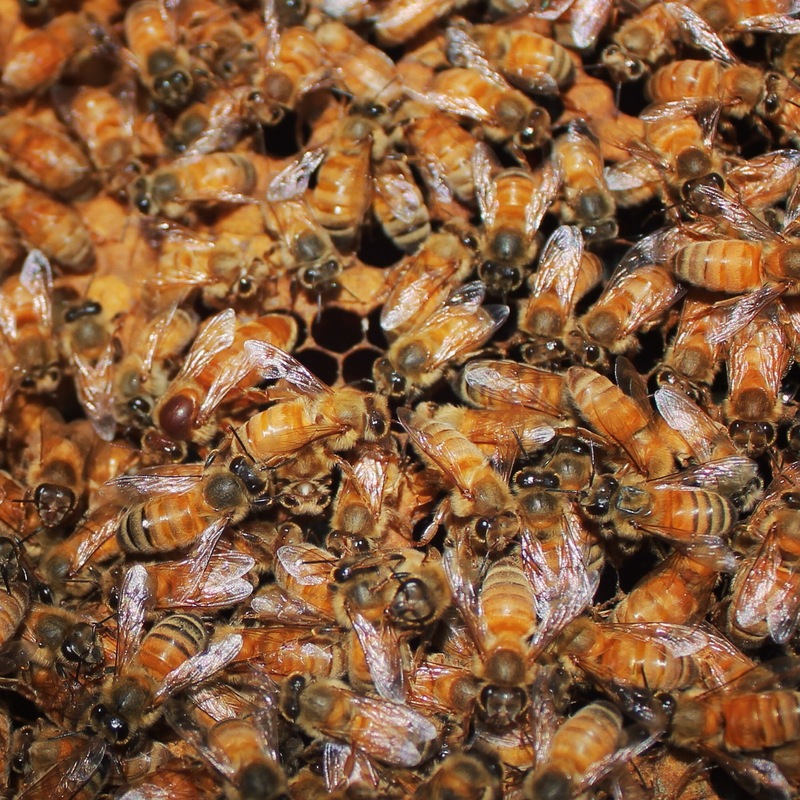 If you count yourself among the bee obsessed, read on to find out how far gone you are. I think most beekeepers go through this during the winter, when temperatures rarely allow for foraging let alone hive inspections. I frequently hear from beekeepers who are jealous of my mild Southern California climate and consequent year-round beekeeping adventures. Despite my luck, even I experience pangs of longing for contact with my bees after just a few weeks away from them. I find myself curing mild bouts of moodiness or depression by suiting up and saying “hi” to my girls. 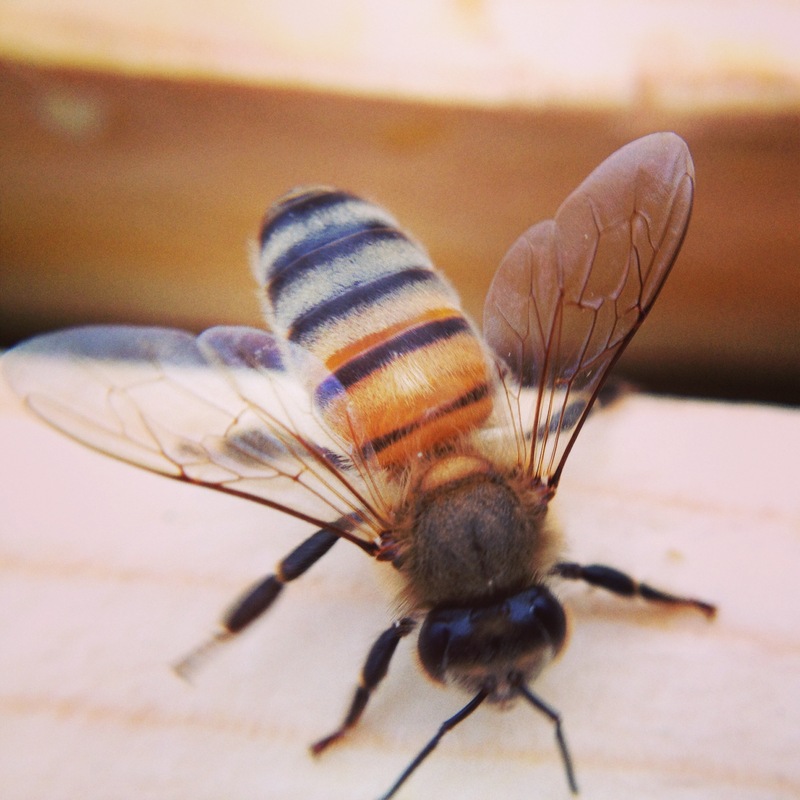 Even if it’s just a few peaceful minutes watching them fly in and out of the hive. If this sounds like you, you’ve reached the first stage of beekeeping addiction. You drone on about bees. If you find yourself explaining to the grocery store clerk how drones are made from unfertilized eggs, you’re in trouble. Once you start talking bees, there’s just so much to say! Am I right? Just know your family members are likely gesturing wildly behind your back to the unsuspecting fool who sets you on the topic! 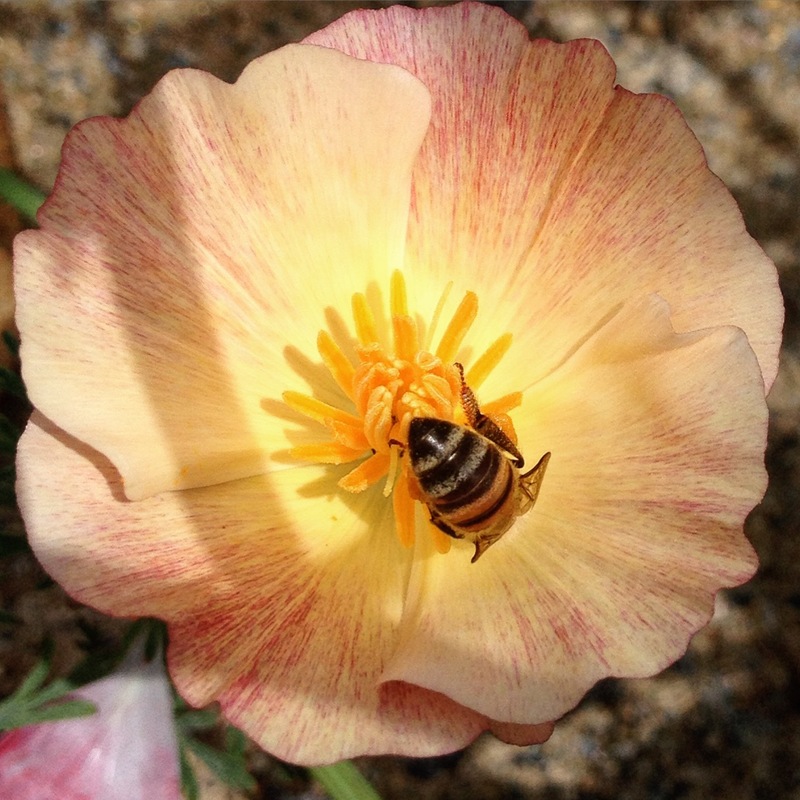 You investigate all nearby flowers for “your” bees. Bees forage up to three miles for food and once they leave the hive, there’s really no way to identify them as yours versus any other colonies that could be in the area, but I still find myself trying! Not to mention I like knowing what kind of flowers they prefer, what’s in bloom and if they are collecting pollen or nectar from it! You need to I.D. all buzzing UFOs. When you hear something buzz on by and you absolutely have to find out what it was. A honey bee? A carpenter bee? A wasp? Sometimes I think I can tell what it might be just by the quality of the buzz and I find myself chasing down whatever it was to check. You constantly think, “I could put a hive there”. As someone who places hives in mostly urban and suburban settings, this thought goes through my head at least twice a day. I have been plotting how to ask the owner of the corner liquor store if I can put hives on his roof for months! You hear buzzing when there are no bees around. Most people wouldn’t like to admit to hearing things that are not there, but here I go anyway. After long hours spent with bees, I am often left with a humming buzz in my ears. I usually have to ask someone else if they hear it, too just to be sure there aren’t any “hitchhiker” bees in my car! When this first started happening to me, I knew my obsession with bees was on a whole new level. When you close your eyes at night, you see bees. 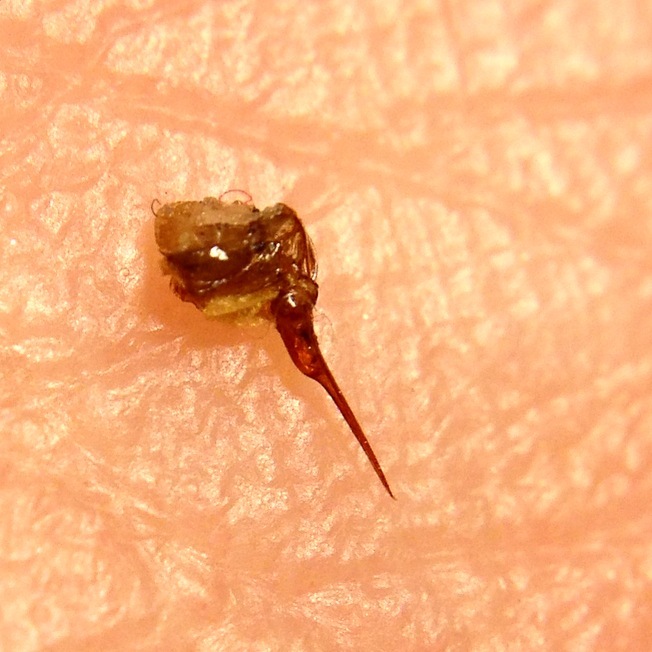 Eventually I got to the point where I started seeing bees imprinted on the inside of my eyelids. 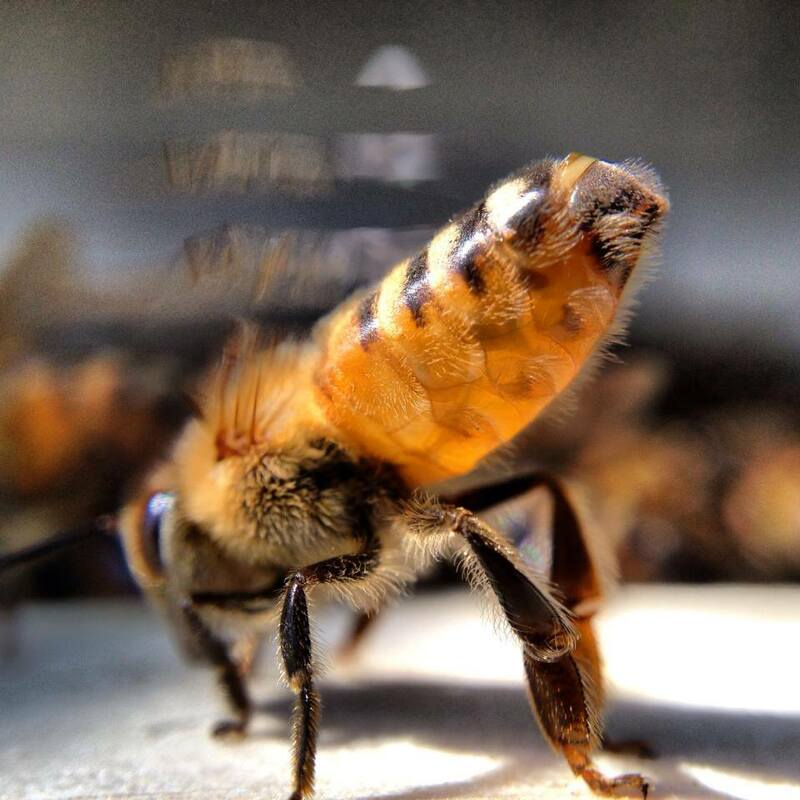 I’d lay down to sleep and visions of honey bees danced in my head! When I was a kid, this used to happen to me if I played video games for too long. So, if honey bees start permeating your sensory organs, watch out, your family might be getting ready to do an intervention. When you feel pain, you assume you are being stung. Once you’ve been beekeeping for awhile, you’re likely to experience what I call a “ninja bee”. This is a bee that hid in your clothes during an inspection and ends up stinging you hours later when you unwittingly crush her against yourself. The poor bee doesn’t intend to sting you, she’s usually just lost, cold or confused and ends up hanging out on you without your knowing. 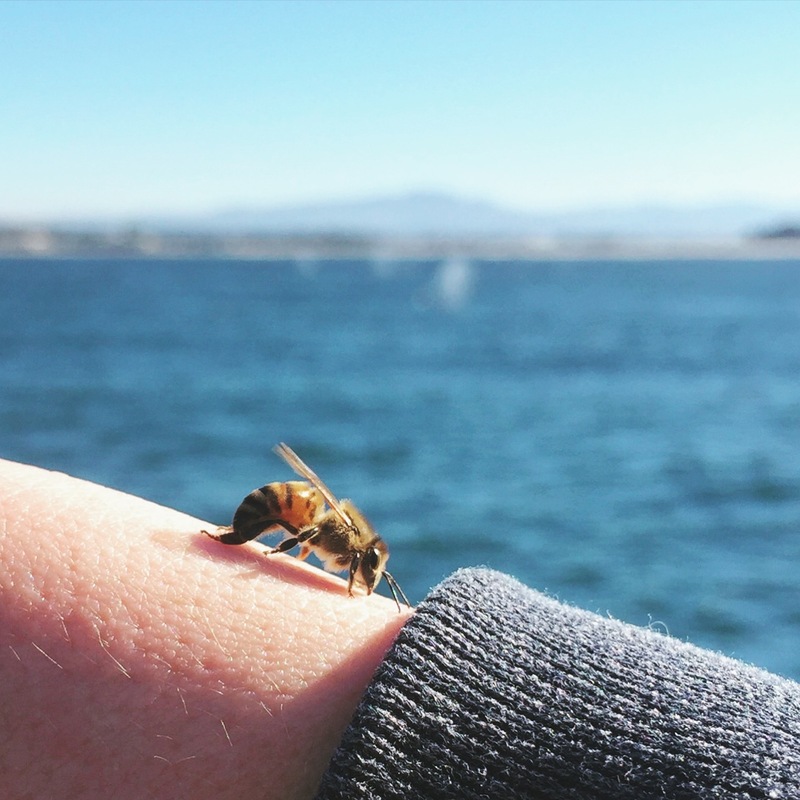 After this has happened to you over and over again, you cease to be surprised when you are stung in non-beekeeping environments. In fact, I am at the point where my brain’s first assumption upon feeling minor pain is that I am being stung. Even when I am nowhere near my beehives, bees seem to find me. At first I thought it might just be that I notice bees more than the average person, but then it started to seem like something more. On my last vacation, for example, one landed on me several miles offshore during a whale watching trip! I even got a photo of her with some Humpback Whale water spouts in the background. It’s at the point where if I pull up to a red light and my car windows are down, a bee will fly into my car. Upon hearing this, a former english teacher declared that my life now resembles a magical realism novel. As much as I’d like to believe it, I think it is more likely that I smell like a beehive, but hey, bees are capable of recognizing individual human faces so you never know! People talk about how amazing flying dreams are, but personally I prefer to dream about bees. 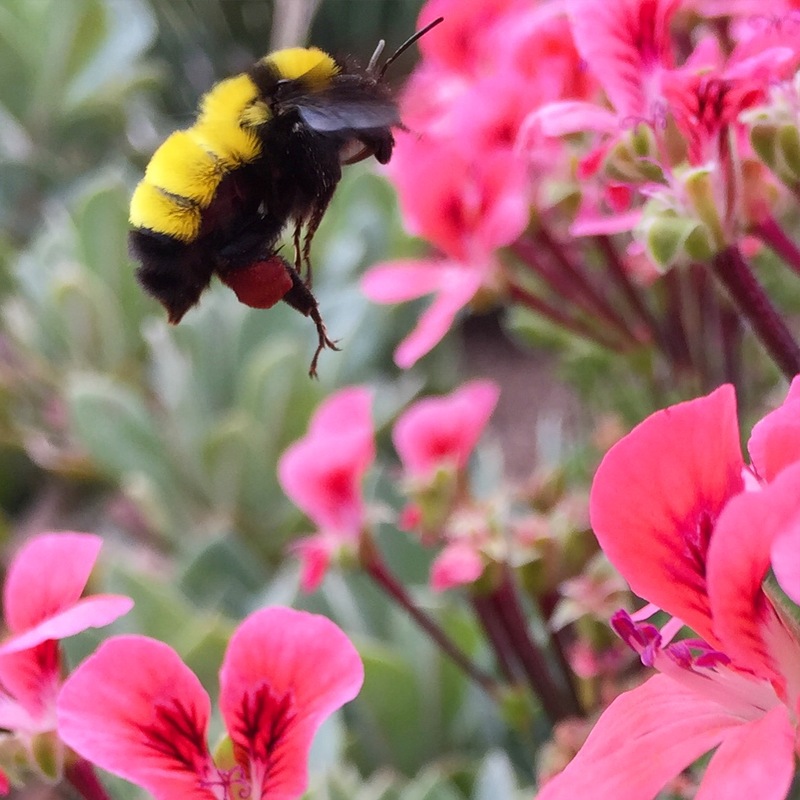 There’s something really magical about encountering bees in the dreamscape. My favorite is when I dream about catching a swarm and I find the queen bee. I had one recently where I was sitting in a parked car with the sunroof open and swarm flew into the car! It was enchanting and chaotic, but I found the queen on the glove box and felt pure joy. I like to joke with my intern that once a person dreams about bees, they’ve reached beekeeping enlightenment. Bonus: Once, after a long week of beekeeping, I retired to my room to relax and read a novel. I must have been borderline delusional because I found myself envisioning the character in a bee suit despite the fact that the book had nothing to with beekeeping and the character was not doing anything related to bees whatsoever! I simply had been imagining him in a bee suit because I had been wearing mine so much! Because they spend so much of their time in the water, ducks are less apt to get mites, lice and other external parasites. Ducks also have hardier immune systems, tend to stay in better general health and are less likely to contract illnesses than chickens. There are just a few common duck diseases. Ducks will eat every slug, worm, spider, grasshopper, cricket, fly, beetle and grub they can find. They are wonderful for natural pest control. Given the opportunity, they will also eat small snakes, toads and even mice. Chickens are more picky about the fare of bugs. Some of our hens won’t even look twice at a worm.